How to turn WIFI completerly on W10M build 10536? Updated to 10536 on my Lumia 920. There are many bugs. I can live with them mostly. However I wish someone can help me to resolve one problem I am facing. There is a feature in WP which will automatically turn on Wifi if it has been off for certain time period. 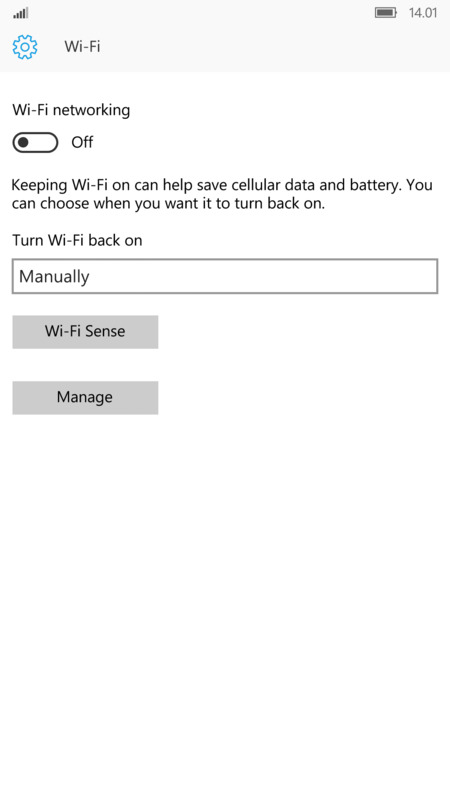 On WP8.1 or earlier W10M builds, I am able to disable it by changing the WIFI turn on setting to Manual. However, I am not able to find this option any longer. Has someone find the way to turn off Wifi completely? It's still there for me. Oh right. Seems the option will show only after you turn off the Wifi. It does not show when Wifi is on. Cannot remember if previous builds behave the same. Anyway, good to find it out. Thank you. Yes, that can put you off track, it only shows when the WiFi is off. However it was that all the time, as far as I know. How can I do a Bluetooth transfer of pictures from phone to desktop?